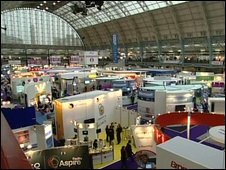 Looking around the British Education Training and Technology show, BETT 2009, it was clear by the sheer size of the event, that an awful lot of money is being spent on technology in education. With Open Source Software (OSS) freely available, covering almost every requirement in the national curriculum, a question has to be asked why schools do not back it more fully, possibly saving millions of pounds. As the name suggests, OSS is community-driven software with its source code open to all. Anyone can modify the software according to their needs and then share these modifications with everyone else. When many people hear OSS they think Linux - the alternative operating system that comes in many flavours such as Ubuntu, openSUSE or Fedora. Linux has long been used to power servers, but open source extends to all manner of projects. Web browser Firefox and the OpenOffice software suite are great examples of this. In the education sector, OSS is promoted and used by only a handful of self-motivated technologists looking to stretch their technology budget. Critics say Becta - the government agency that oversees the procurement of all technology for schools - has not done enough to promote OSS. Peter Hughes, head of procurement agreements at Becta, told the BBC that more would be done. "As an organisation, we have been criticised for not adequately covering open source solutions and our predominance of proprietary solutions, such as those by Microsoft. "We have therefore responded to this pressure and in our role of strategy and delivery of technology in education, we've made an effort to stay balanced and have focused on facilitating effective choice for schools," he said. At the end of 2008 Becta collaborated with the government's procurement services organisation OGCbuying.solutions to approve 12 suppliers, all of which can outfit schools with open source software. Becta considers the appointment of Sirius a "major step forward" and that it sent a message to the community that "we're taking OSS seriously". John Spencer, Sirius head of business development, told the BBC that there was a deep ignorance of open source, not just in schools, and that Linux suffered an image problem. 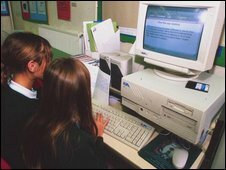 "Many schools are frozen in time from the year 2000, when it became obvious computer literacy was not going to be optional but then they haven't moved on. "They don't want to move away from what they know, not just to Linux but equally to Vista and Office 2007 as well. Good teachers will always be looking to move forward but they are so busy that they are often conservative," said Mr Spencer. Sirius has already installed open software in many schools around the UK. One project in a Twickenham school allows netbooks and notebooks owned by the school or a pupil to be booted up across the network to give them access to the files and programs they need. "The network cost half that of the RM offers and the reduction in power consumption allows the system to pay for itself in under 3 years," said Mr Spencer. Another Becta initiative revolves around the opensourceschools.org.uk website which launched in late 2008. It aims to provide basic information and best practice guidelines for teachers using OSS. However, Becta has some reservations. "We want teachers to realise that they can be and should be considering OSS as a viable alternative," said Mr Hughes. "That said, schools still need to do their homework. There can be just as many caveats with open source as there are with proprietary solutions." So what do the big software firms think about open source software encroaching on their patch? Steve Beswick, director of education for Microsoft UK, told the BBC that while open source software may, on face value, offer savings, there could be hidden costs, both financial and otherwise. "A lot of people are trained in Microsoft-based technologies, so there may be increased costs in re-training to learn how to use open source solutions," he said. Mr Beswick claimed that Microsoft was not against open source, and was "committed to interoperability" illustrated, he said, by the support for the Open Document Format in Service Pack 2 of Office 2007. He also mentioned the work Microsoft has done getting IIS, its flagship web server software, to work with the PHP web scripting language. The Schools Minister, Jim Knight, echoed Becta's view. In a statement, he said: "Schools and colleges must be able to make an informed choice about the software they need - be it open source or proprietary - and to be aware of the total cost of ownership of that software, including sustainable support and training. "I see it as Becta's role to work with open source and proprietary software providers to ensure that schools and colleges can make the most effective use of that software to support teaching and learning." So what does the open source community make of this? Gerry Gavigan, the chairman of the Open Source Consortium, told the BBC that a shift to open source software would require a change in thinking. "Ongoing training costs don't go away merely because of a change from proprietary software to free and open source software. "What does change is liberation from the training costs associated with an externally encouraged or enforced upgrade cycle," he said. Another issue frequently raised is that of technology lock-in, one of the biggest arguments used by open source advocates as to why Windows is still prevalent. Mr Gavigan felt that the free nature of open source software sometimes worked against it. "Announcing you have spent amazing sums of money trying to tackle a problem has more impact with your audience than saying you have used a free solution. There is an unfortunate myth that if it doesn't cost anything, it isn't worth anything" he said. However, some schools are taking on OSS. Highworth Grammar School, in Ashford, is offering both licensed and open source software to students. The school's network manager, Marc Blake, said that while it was important for pupils to be aware of alternatives to Windows, it was worth acknowledging that pupils live in a world dominated by Microsoft. 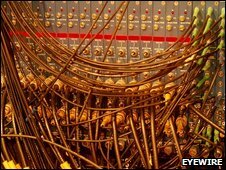 But, he told the BBC, significant savings could be made by using some open source alternatives. "We offer both Office 2003 and OpenOffice, so that people have a choice. I'd estimate 98% of people choose Microsoft Office over OpenOffice, but at least that choice is there," said Mr Blake. "For our school to upgrade to Office 2007, it will cost around £27,000 as a one-off cost, but that doesn't include the cost of re-training and updating all the associated worksheets and teaching material." 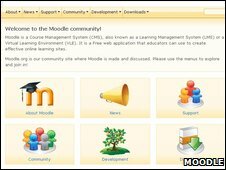 "To get the equivalent of Moodle [a free source of e-learning software] for our 1200 students would have cost in excess of £3,000 per year. You don't get the professional support, but if you're willing to take that on, it's great money saving," he added. One of Mr Blake's main concerns with moving to Linux was whether it would work with some of the newer web technologies. However, although the school does have several Linux-based Asus EeePCs which are used predominantly for Web 2.0 projects. At this years BETT, a significant proportion of educational software went Web 2.0, in an attempt to stay cross-platform compatible. Schools could make significant savings by using open source, but this also requires a significant investment of time, research and training. But using a combination of both commercial and open source, such as that employed by Highworth School, can help to reduce costs while still giving students a choice. That's got to be good news for any school's report card.